ERP is the perfect example of a true enterprise app. It is something that staff at all levels will rely on. And it manages the single most valuable asset your business owns – data. That is why you must carefully and comprehensively evaluate various options before making any formal commitments. There are lots of ways to go about your due diligence – requesting a demo, reaching out to current customers, getting an expert evaluation of the underlying tech, considering on-premises vs. cloud etc. But one of the most illustrative resources available to you is case studies relevant to specific ERP products. Case studies reveal a lot about a product and even more about a vendor, even if they have been created by the vendor themselves. A close reading of these documents can tell you much about the level of performance, service, and support you can expect by picking one vendor over another. Here are some features to focus on as you start diving into case studies. Most vendors will claim their product is perfectly suited to your enterprise and point to experience in or around your industry to prove it. Case studies allow you to examine how that ERP performs in environments that are as similar as possible to your own. Looking for case studies written about your competitors, about companies with similar sizes/structures, or about companies facing the same issues as you can lead you to products with a proven relevance to your enterprise. You can find countless case studies highlighting both successful and wildly unsuccessful implementation efforts. The outcomes are important, but it is the details that are most instructive. You want to partner with a vendor that streamlines the implementation while troubleshooting the myriad issues that inevitable arise. Don’t look for case studies that describe a perfect process perfectly executed. Look for case studies that describe how the vendor and the client were able to overcome setbacks and mistakes using superior ERP resources. A lot of case studies taper off after the implementation. They suggest that everything has worked perfectly without a single user having questions or issues. But this is wildly unrealistic, and the second half of the story has been left off for a reason. Quality ERP support is essential, but many vendors are either unwilling or unable to be the authoritative, on-demand resources users are looking for. Case studies that obscure or ignore the importance of support should raise red flags. ERP vendors will try and court you by making bold claims and enticing promises. But it is easy to promise anything and much harder to back it up with metrics, facts, and figures. A big reason to scour case studies is so you can put the vendor’s promises in context. For instance, if a vendor claims that its ERP has boosted productivity by 30%, the case study should tell you how, and whether there is more to that story than the figures suggest. The information in any case study should be taken with a grain of salt. But it should never be ignored. At the very least, case studies can help you to enhance the way you interview and evaluate various vendors. Once you’ve read how they interact with other clients, you’re in a better position to explore the positives and negatives of forming your own relationship. If you want to go beyond the case studies, use them to find contacts for executives and decision makers who can give you honest, unvarnished information. 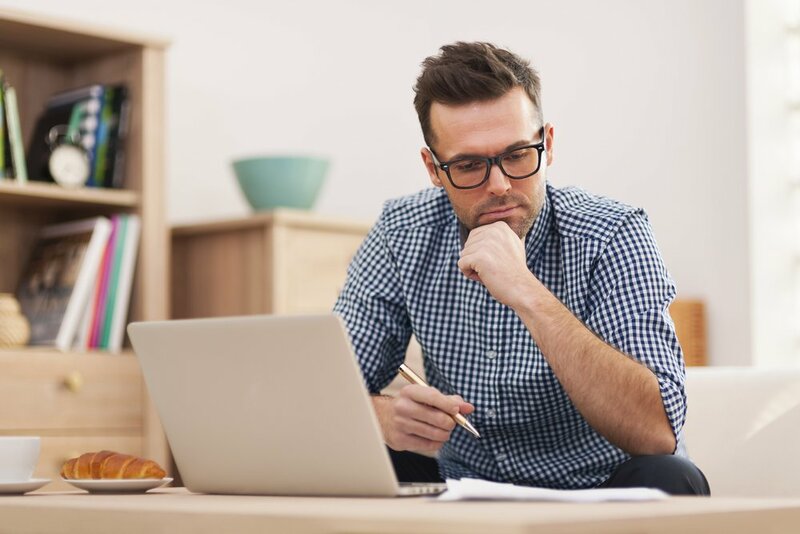 We know cyber insurance can be really confusing, especially for the small business owner. So, we put together this infographic to help small business owners understand why they should invest in a cyber insurance policy. As the old adage says, ‘no one is perfect.’ This often applies to people who lock their keys in the car or turn their laundry pink, but it’s a little more problematic when human slip-ups put your small business at risk. In fact, 95 percent of all cybersecurity incidents involve human error. While that figure may frighten you, there are steps you can take to safeguard your organization against employee-linked data breaches. Employee education is absolutely vital to protecting your small business. This can be done in a number of ways. While some companies choose to walk new hires through cybersecurity training during their first week, other companies may host quarterly or yearly cybersecurity training meetings to refresh everyone’s memories about best practices. Impress upon your employees the importance of avoiding opening emails from unknown or suspicious sources. Cybercriminals are avid spammers, and their emails frequently contain links and attachments meant to infect your computer with dangerous malware. Phishing scams are included in URLs in an attempt to deceive employees into sharing their passwords and login information. Some hackers, who are trickier than others, will use spoofing to pose as a friend or coworkers in emails or text messages. The lie is made even more convincing by redirecting the user to fraudulent phishing pages made to look identical to the real thing. The goal, of course, is to fool your team members into divulging valuable information. While digital threats continue to evolve as do the methods to combat them. Continued cybersecurity training will ready your team to be aware of any risk. Begin with changing your passwords immediately: Don’t allow the hacker to gain further access to your other accounts. Be sure to repot the incident right away: The faster you act, the better your chances of limiting the damage. Next, check your ‘sent’ email folder: Make sure your contacts haven’t been spammed using your good name. Finally, do a security sweep: This will uncover any malware programs that may have been downloaded without your knowledge. Oh no! Your sweep revealed malware infections on your device. It may have even been living inside your computer, undetected for months. Symptoms include slow performance, advertising pop-ups when browsers are closed and bogus security warning from programs you didn’t install. Removing malware can be incredibly time consuming. So let’s get started. The first step is to update your antivirus software: The most recent update will better combat whatever is infecting your computer. Restart your computer in safe mode: This will stop malware from spreading while you hunt down its roots. Start by deleting temporary files. Be sure to investigate any files or programs unfamiliar to you. 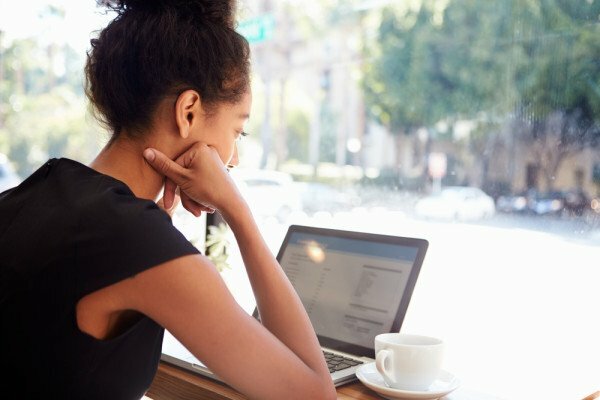 While this may be enough to detect and exterminate your computer bug, it is likely that you may need to download additional security software to relieve your system. A computer professional will be able to help you if necessary. As you can tell, cyberattacks consume your time and resources, costing your small business thousands in damages and downtime. Shield yourself by investigating cyber security insurance quotes. Providers even offer protection against extortion and reputational damage. Cyber security quotes may vary, but are very affordable compared to risk posed by cybercriminals. Besides, investing pennies a day is infinitely preferable to dropping tens of thousands of dollars on data breach. Most international business owners would love the opportunity to expand their business into new markets, such as the United States. After all, the US brings new people with new needs who would make a great market for your business. However, just because you want to start a business in the US doesn’t mean that it’s easy. It’s actually a lengthy and detailed process, and you want to be sure that you consider everything before making your final decision. Before you consider starting your business in the United States, you want to be sure there is a target market for your products or services. Do some research in that area to determine if it’s the right place. The United States is very large, and what may work for people in New York may not work for those in Arizona, so you want to be sure you are choosing the right location for your business. Do this with a small test run. For instance, if you’re selling a product, you can see if a third-party in the area would be willing to sell it for you and see how it does. If you have a service, consider testing it out in a small area. The more research you can do to see if this is something that people would like in that area, the better chance you have for success. After all, if you spend the money to move to this new place and your business doesn’t take off, it wasn’t a very good investment. Immigration laws vary from location to location, and chances are you may want to take some of your existing employees to the new business location. In order to do this, you want to be fully aware of any immigration laws that need to be followed. According to Hirson Immigration, “For those who are interested in obtaining lawful permanent residence in the US by investing into a US business, acquiring the services of an experienced EB-5 attorney is of the utmost value and importance.” By doing this, you’ll be able to receive the information you need to legally keep your employees safe during the transition. There are plenty of benefits to opening a business in the United States, but you need to carefully consider the logistics. If you will still need to travel regularly to the new location, then you’ll want to consider the cost of the logistics. You also want to make sure that the location you choose is close to clients or consumers who want your products or services. After all, if you opt for a location that isn’t logistically accessible or effective, it could actually harm your business more than help. As mentioned above, be sure to do your research, because your product may be better off in one state versus another. Obviously, money is very important, so you want to be sure you’re making the right decision when it comes to overall business cost. Make sure you understand exactly what it will cost you to open a business in the United States. Don’t just consider the cost of the building, employees, etc., but also the cost of permits, visas, and other items that are required for you to legally open shop. Once you have a firm number, you can use this to determine if opening this business is actually worth it. Sometimes the perks outweigh the risks. There are plenty of advantages to opening a business in the US, but it should still be something you truly think about before diving in. Be sure to ask yourself some important questions. Do you receive tax breaks? Is there a better market? Do you have more growth opportunity? There are many things to consider, but besides just focusing on the legality and cost, you should also allow the benefits to play an important role in your overall decision. Making the decision to open a business in the US an important step for any global company, so you want to be sure that you do it correctly and successfully. Use these tips to make sure you consider everything necessary before making a drastic change for your company. Until now, the regulation of health apps has more or less been left in the hands of the tech firms creating and selling them, but news from the Food and Drugs Administration (FDA) this week indicated that they have reached a decision on the future of health app regulation. 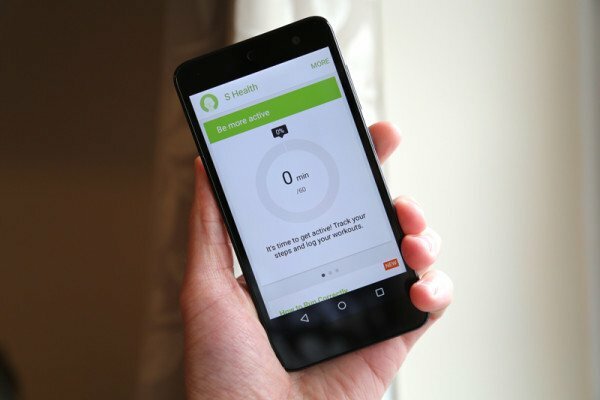 Health apps are undoubtedly incredibly useful, allowing patients to monitor basic statistics such as their calorific intake, their heart rate and their blood pressure without having to visit a doctor’s surgery or clinic. There has, however, been a degree of uncertainty regarding the legitimacy of the results given and the degree to which patients could rely on the information in terms of making their own decisions on treatment. The final guidance recently issued by the FDA not only drew a line separating useful and harmless apps from those which might be more problematic, it also left the people responsible for developing health apps thanking their lucky stars at the approach being taken. The guidelines unveiled confirmed the fact that the FDA plans to adopt a light touch approach to the regulation of most health apps, also known as medical device data systems (MDDS), as well as the specific software which is used to transmit the data collected to and from a specific medical device, such as a blood sugar meter. Until now, the concern that some patients might be misled by health apps has centred upon those which go further than simply gathering information and, instead, offer diagnostic advice and even suggest treatments, areas which have previously been left in the hands of trained clinicians. The new regulatory regime will deal with such apps whilst giving developers a free hand to continue developing tools which gather information and monitor existing conditions, such as diabetes. Experts within the field welcomed the news, feeling that it will promote innovation, push developers into new areas and help to create cutting edge apps able to greatly aid the field of preventative medicine. The changing landscape of health app regulation look set to be a hugely positive development for patients as a whole. The flexibility offered to developers will broaden the options on offer, and the lack of regulation required will assure patients that such apps are completely safe to use. Tech-savvy people know that a delicate smartphone like the iPhone 6s Plus can’t be left uncovered. It would be as ill-advised as taking a walk down the street without wearing your shoes. Like your vulnerable feet, your 6s Plus isfragile and susceptible to damage. Without a protective covering, your iPhone can rub up against sharp keys or meets its end on the sidewalk. If you don’t want your smartphone to sustain serious harm during your day out and about, then you know you need a protective covering to save it from the elements and unfortunate situations. But the iPhone 6s Plus can’t take just any kind of protection. It’s one of the greatest phones on the market, as its 64-bit A9 chip makes it faster and more powerful than most other cellphones. It’s formidable enough to run the expansive iOS 9, which lets you download and tap through all of your favourite apps, including those built-in ones like Touch ID and 3D Touch. The protection you choose should reflect the status of your phone. It may seem like the iPhone 6s Plus has set an impossibly high standard, but some retailers have managed to meet it. Those that produce iPhone 6s Plus skins have matched the smartphone’s innovative design in using precision-cut genuine 3M vinyl. 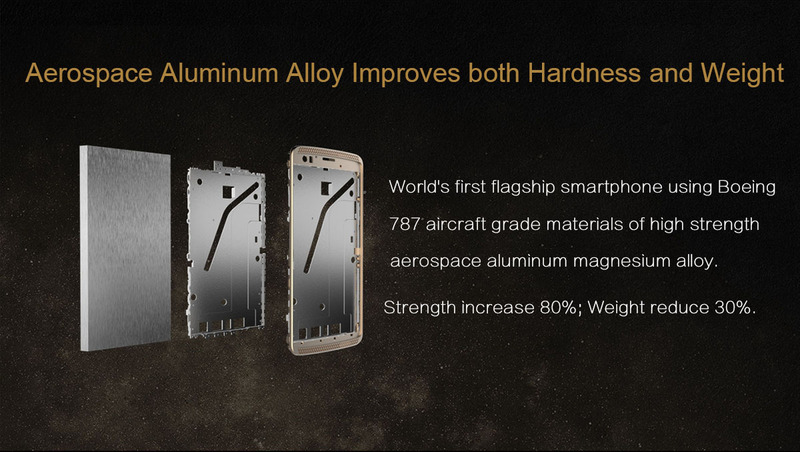 For those expecting something more space-age to complement the 6s Plus’ 7000 Series aluminum alloy, you’re in for a surprise. The modest 3M vinyl is an impressive material that protects and defends your phone in many ways. When wrapped around your smartphone, it creates a second skin that will absorb damages caused by rough surfaces and sharp objects. Its water resistant surface makes spilled drinks a cinch to wipe up before they seep into seams and fry your precious A9 chip, and it defies the grime from your fingers from gunking up your buttons. And while it’s doing all of that, the skin (also known as a wrap) gives your palms and fingers something to grip onto, so you won’t watch in slow motion as your 6s Plus slips through your grasp to shatter on the ground. Once you try it out, you’ll wonder how you’ve ever used your iPhone without it. In fact, you’ll find that you’ll want to share your new found love for skins with every iPhone user in your life. The great thing is, iPhone 6s Plus wraps and skins make excellent presents for anyone in your life who’s celebrating an upcoming birthday. They also make inexpensive stocking stuffers for the family and friends who will be making merry this December. You can customize each wrap in a unique colour or texture that befits the person you’re buying for, or you can make a whole line of matching skins for your squad. The possibilities are endless, so consider iPhone 6s Plus wraps as a gift this upcoming holiday. A fully protected and stylish iPhone 6s Plus might be the best present you’re friends and family have ever received because it protects the expensive investment that an iPhone is. It’s also the best present you’ll ever give to yourself, as you’ll be sure to keep a skin for your own iPhone! If you think your home isn’t futuristic enough, you probably haven’t added the latest high-tech features. These four gadgets will put your house on the cutting edge. Pets often get bored during the day while their families are away at work and school. This boredom often turns into mischief. It doesn’t take long before your dog discovers that chewing the couch is a lot more fun than sleeping on it. A nanny cam can show you what happens when you’re not at home, but it can’t prevent your pet from getting into trouble. That’s where the Petcube comes in. Petcube is a camera that lets you monitor your animals at any time. Unlike most monitoring devices, though, it has a built-in microphone that offers two-way communication. When you see your furry friend doing something naughty, you can command her to stop through the Petcube. It’s not certain whether pets are following commands or just really confused by a disembodied voice. Regardless, it does the trick. Smart thermostats connect to your home’s computer network so you can take control of the temperature and track your energy use. 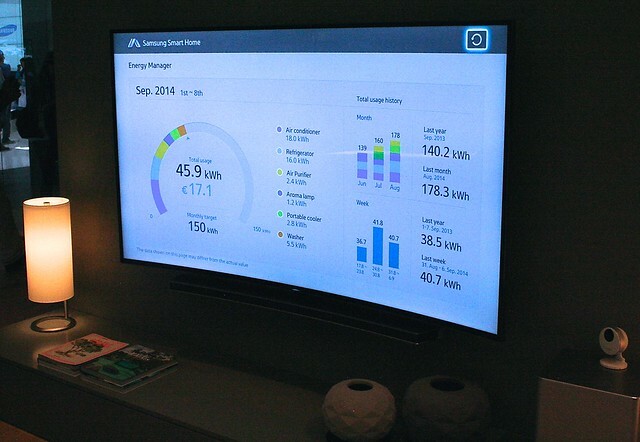 You can also control a smart thermostat from your smartphone. NewAge Air installs a variety of WiFi-enabled thermostats that will help you lower your monthly utility bill. When you have a smart thermostat in your home, you can program it to follow a specific temperature schedule. Most people set thermostats so their HVAC systems don’t do as much work during the day while they are at work. Since smart thermostats let you track your energy usage, you can also look for easy ways to reduce the amount of electricity and natural gas used to heat and cool your home. You want a good sound system for your home, but you don’t want a bunch of wires strung across the rooms. Some people avoid this problem by running wires through the ceiling and under the carpet. That way, at least they aren’t an eyesore. WiFi speakers offer a more convenient way to get great sound without the wires. You can position them anywhere inside or outside your house, which is perfect for days spent by the pool. Best of all, you won’t have to damage your ceiling or floor to hide ugly wires. Door handles have to be some of the most disgusting objects in your home. With so many people touching them throughout the day, you never know what kinds of germs, bacteria, and viruses accumulate there. With a self-sterilizing door handle, you’ll have fewer worries about spreading sickness in your home. These door handles have special designs that include UV lamps. After you use the handle, UV light shines on it, killing nasty bacteria and germs. It’s a pretty straightforward idea, but for some reason designers have just recently started to incorporate it into their handles. There are plenty of high-tech features that you can add to your home. Start with these and see where you can go from there. Cloud hosting has supported the development of industry standards for the last decade. In doing so, it’s become essential to keeping up with many industry developments in a number of different markets. The tools provided and low impact of cloud based solutions to company space budgets and technical support have ingratiated it to companies the world over. When looking to branch out your cloud based services or looking to adopt them for the first time into your company, it can be difficult to know what to look for. There are many host providers that claim to be in the top tier of the cloud industry, but what exactly puts them there? The honest answer is that the top tier for services you need may be completely different than what the market is currently advertising, but that doesn’t mean you won’t be able to find what you’re looking for. If you’re perusing cloud based hosting for solutions that apply to your business, you may already know about the cloud computing stack and if not directly, it’s likely you’ve seen it or one of its components. The ‘stack’ refers to the general different types of cloud services and how they are implemented and utilized to accomplish different goals. The stack is usually referred to be one of four acronyms: SPI or Software, Platform, Infrastructure and then further broken down into SaaS, PaaS and Iaas (Software as a Service, Platform as a Service and Infrastructure as a Service). How these different stacks work is the key to which one you should be looking for when searching for top cloud hosting providers at a comparison engine like Cloud Kompare. Companies like Google, Facebook, WordPress and more are all examples of the SaaS model of cloud based computing. 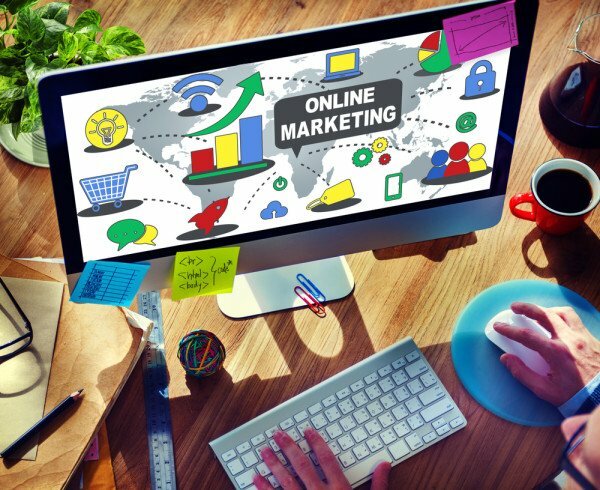 These recognizable brands all offer software that is available without installation or exactly system requirements, often launched through the browser and easy to access just about anywhere you have an internet connection. Software as a Service has become more popular as mobile phones have begun to rival desktop and laptop PCs in terms of computing power. Many SaaS providers have jumped on the mobile bandwagon, offering apps and options for access their software through mobile phone screens, which are connected even more often than PCs today. SaaS doesn’t make sense as a solution for every company, but companies where there’s a lot of interaction between partners and the public or where partners and employees are often out of the office on business can benefit from mobile access to applications that SaaS provides. Platform as a service takes cloud computing in a new direction, offering an environment where developers and programmers can ply their skills online to develop services and applications for a company without the need of specialized tools and software of their own. There are many benefits to a PaaS stack including a reduction in cost because specialized tools and software aren’t required for developers to work in, and it allows for non-expert individuals to gain experience working with the tools, protocols and structures your company requires for the development of their applications. Tools like Operating Systems, Storage solutions and hosting can all be packaged in a PaaS stack, which allows for flexibility for accessing and working with tools even when outside the office. Whatever stack of cloud computing works best for your company, this expansive and ultimately accessible service can be designed to fit into many different budgets, industries and scenarios. Because cloud computing encompasses a variety of different methodology where it comes to service solutions, it’s becoming an industry standard. When looking for the top cloud hosting providers, be sure you understand which stack will best suit your company or be prepared to look at a great many host providers before you find the one that will work best for the solutions you are looking to implement. While the process may be long, the cloud offers a wide variety of services and access and can be made to fit nearly anywhere. Smartwatches are all the rage these days. Everyday a new one pops up with the supposed greatest features, greatest connectivity, fastest interface and on and on and on. So how do you sort through the plethora of advertisements? Do research and compare apples to apples. Like any product, not all smartwatches are created equal. The devil is in the details with these devices. Which brings us to the NO. 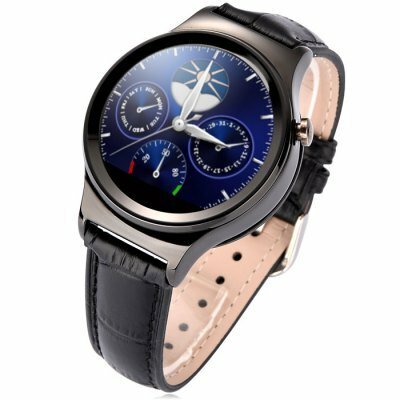 1 S3 Smartwatch phone. 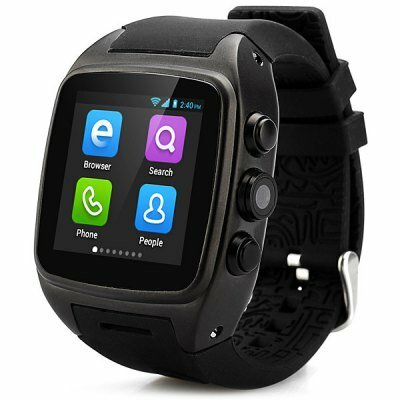 Not just a smartwatch, but a smartwatch phone. Why? Because it has no much functionality you typically find on smartphones. This makes it a lot easier to use. The S3 works in a lot of ways. For starters, it isn’t limited to just working with your iOS or Android device as other brands are. It can do what the more expensive models do, but with less damage to your wallet and more connectivity options. 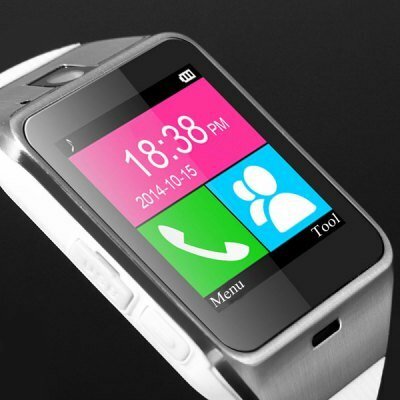 Smartwatches are meant to sync with your phone, which the S3 invariable does. But it does this in a number of ways. The watch seamlessly syncs with your phone and allows you answer calls or dial right from your wrist. On a similar note, it does allow synchronization between things like call logs, messages and even contacts. This allows for you to quickly view these items on your wrist discretely if you need to. The face where you enter commands is very durable; hard and hard to scratch to boot. It’s pretty comfortable to wear also with a trendy leather strap. It boasts a litany of extra features that you’ll be hard pressed to find elsewhere. It has a pedometer if you want to monitor your steps for exercise. It can also keep track of your sleep health by monitoring sleep quality while you take your nightly snooze. The S3 will also monitor your heart rate if you want to keep track during exercise. No need to hook up a separate device; just glance at your wrist. Aside from the health monitoring bonuses, it has interesting additions like an alarm, stop watch and remote capture. The last bit is particularly interesting. It allows you to control the phone’s camera as long as the camera is selected on the phones interface. So next time you want a family picture, you can take it yourself, right from your wrist, with the phone across the room. All the things the S3 does sound awesome, but it’s the price that’s the kicker. The device wouldn’t be a boon to consumers without competitive pricing. Luckily it does have a shockingly reasonable price. You can get it for under $60 here and receive fast and free shipping as the icing on this techno-cake. By the way, the Apple Watch starts at $350 and about 200 of that is just for the Apple name. You can do better. Just saying. Find out the complete technical specs here. If you’ve not taken the plunge into the world of eBooks, there’s probably a lot of reasons why. Maybe you prefer the feel of physical books, and no one can deny how good a full bookshelf looks in your sitting room. However, maybe now you’ve been thinking about checking them out and catching up with current technology. If you’re looking for reasons why you should make the switch, look no further. Below are the top reasons why eBooks are the future of publishing. There’s thousands to choose from: Whichever store you choose to buy from, you’ll find thousands of titles right at your finger tips. Whether you’re looking for the latest blockbuster or a classic title, they’ll be right there and always available for purchase. You can be reading any title in a matter of minutes. Nook lists the bestselling eBooks in its dedicated online store, so it’s a great place to get started. It’s easy to download a book: No matter what device you use to read, it’s so simple to find and download any title you want. Simply search for the book you want, or browse through the store. Once you find the one you want, click ‘buy’ and the title will be downloaded to your device. It really is as easy as that. There’s multiple ways to read: If there’s a device you like to use, there’s probably a way to read eBooks on it. You can buy a dedicated e-reader, or download the app on your smartphone or tablet. EBook Friendly notes that if you currently own a device that you feel you aren’t using to its full advantage, using it to read eBooks could be the answer. There’s a wealth of free books available: Browsing through an eBook store, you’ll find that many classic titles are being offered for free. If you’ve always wanted to read the works of Charles Dickens or Jane Austen, now’s your chance. There’s also often free books being offered by new and emerging authors, so if you want to try something new, it simply couldn’t be easier or cheaper to do so. Carry your whole collection in your pocket: EPublisher’s Weekly states that eBooks are hugely portable. An entire library’s worth of files could be held on just one DVD or USB drive. If you like to have a few books on you at all times, then eBooks are a much easier way of doing so. It’s also easier on your bag and your shoulders. They’re great for students: High school and college students will know the pain of lugging around large textbooks every day, as well as the pain of paying for them. EBooks solve the problem by being cheaper to buy and much more portable. As a bonus, students can use their e-reader to highlight passages or make notes on their texts, making assignments a breeze. 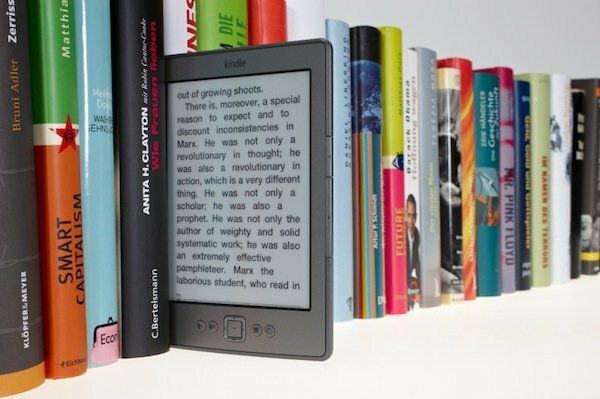 If you know a student just entering the academic year, an e-reader could be a gratefully received gift. Change your preferences on the fly: If you struggle to read small text in regular books, or read text against the traditional white background, eBooks could be the answer. You can change text size or color to suit your needs, making reading much easier with little effort. They’re good for the environment: You probably hadn’t considered this, but eBooks are much better for the environment than physical books. Success Net states that eBooks basically eliminate the need for trees to be felled for books, saving whole forests in one fell swoop. They take up much less space: As mentioned earlier, it can be satisfying to decorate your home with shelves full of well thumbed books. However, not everyone has the luxury of space to display their favorite tomes. Until you win the lottery and buy the country manor of your dreams, store all your books on one small device, and save that space for the essentials. E-readers are designed for ultimate readability: If you buy a dedicated e-reader, you may not notice straight away but they’re designed very cleverly to be the ultimate reading machine. Snarky Nomad lists ten design features that help the reader out, including the lack of page curvature, the ability to read a book one handed, and the inclusion of a dictionary to look up unfamiliar words. You probably didn’t even know you wanted these features until you had them in your hand. If you weren’t convinced before, you probably are now. EBooks are the ultimate in portability, choice, and ease of use. When you put it like that, what are you waiting for? Take the plunge now, and discover a whole new world of fantastic literature from the comfort of your own home. Lenovo’s newest iteration of 4G smartphones is quietly becoming higher demand. Why? Because it does everything the iPhone 6 gets right and fixes all the things it doesn’t. 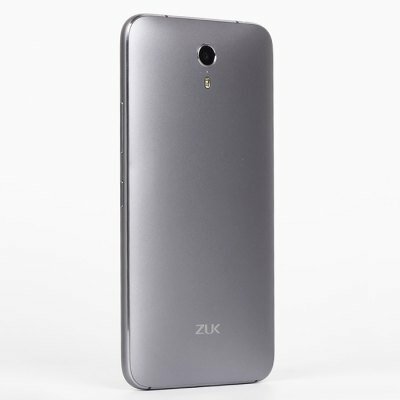 The Zuk Z1 is a smartphone and phablet combination which manages this careful balancing act with surprising precision. It does both of these things and clearly beats on price. The iPhone has developed a cult following and a large percentage of the $700 or so you’ll spend on a new one, reflect this changed reality. But Lenovo has the same quality phone for less than half that. Isn’t that worth checking out? There are some areas where the Z1 actually puts the iPhone 6 to shame. Its battery life for example is a far cry better than the status quo over at apple. You can surf online for over 12 hours before it putters out and even manage 15 hours of watching video before a recharge. 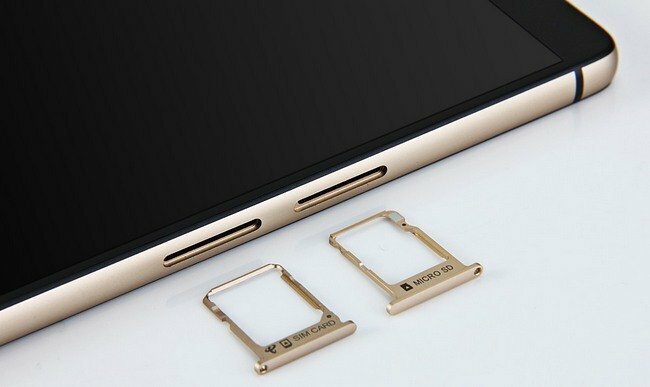 Lenovo designed the battery to be trapezoidal and fit neatly into the back arc of the phone. This allowed them to enlarge the battery without compromising the contour of the frame, so it’s still comfortable to hold. The Z1 also manages a 5.5 inch display; larger than the 4.7 iPhone 6 Plus and with an equally impressive 1920 x 1080 resolution with a very comprehensive color palette. These combine to give the interface some extra “pop” when you’re using the phone. 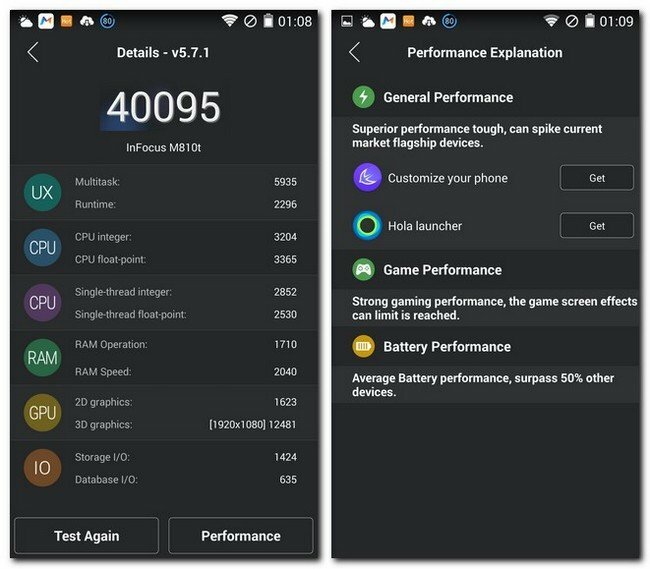 The other technical specs make the Z1 great for gaming as well; you’ll be blessed with 3 GB of RAM and a lightning fast processor that stacks up very well against Apple’s own chips. It’s double impressive that this device s atisfies against a wide range of categories, because people use their smartphones for literally everything these days. Sometimes it’s the little things that make a user experience better as well. Though it has a large screen, it can be comfortably held in one hand and easily navigated with your thumb. Lenovo has smartly designed a small port at the bottom, like Apple, for charging and syncing. It’s also ultra-thin which allows it to comfortably balance in your hand. If you’re a dedicated smartphone user that sees the overpriced iPhone as a need to break free, you’ve found your calling. With the ability to run both Android and Windows operating systems, you get a phone that’s bigger, better and more reasonably price than the competition. You get your choice of operating systems (instead of being forced into one) and will feel at home with more phone for your buck. Can anyone say win-win? 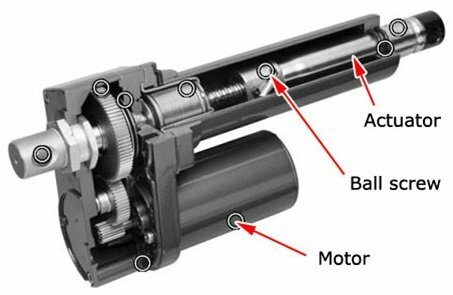 Actuators are generally devices that help in making the movement of some machines easier. 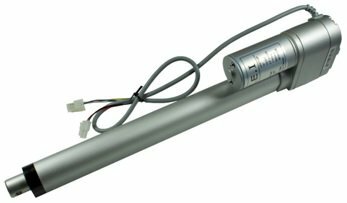 For example, electric actuators are devices that apply low voltage DC motor of a rotational motion and converts it into linear motion, usually acting in a pull and push movement. Actuators use less power compared to the immense output they deliver. 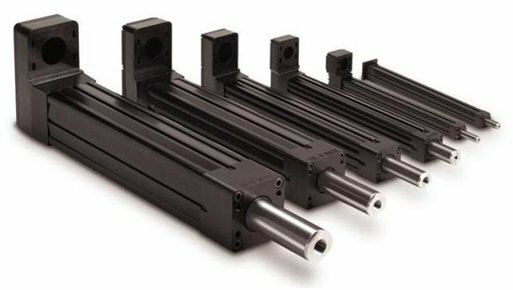 Linear actuators are efficient and needs less space to install. They are used in a wide range of applications, ranging from the luxury hotels, hospitals, homes and industrial plants to mention just a few. Since there are less to none reported cases of casualty and user hazards, they are then rated user and equally environmental friendly. Maintenance costs are way too minimal as well and to a large extent, no expenses are incurred at all. In hospitals, emergency department beds are fixed with this device such that the patient suffers less shock during hurried movements, such avoiding further injuries to them. This device again makes it easier for nurses to move easily and safely with medication for instance from one ward to another. Even in the theater, an adjustment of lights during surgery is effective by use of the same. Comfort and required positioning for medication are a major concern best dealt with by this device. In offices, chairs are made adjustable to achieve proper posture during work. It maximizes on work output by creating a conducive atmosphere to the worker. It is a perfect option to go by in industries, institutions and offices especially areas where precision and accuracy is paramount because it is a quiet device and creates less distraction to the surrounding. In hospitals its use is widely in the intense care unit and in the theaters. Movements in the hospitals are minimized as much as possible to create that peaceful environment. Ambience in luxury hotels is crucial and an added advantage to the general hospitality of the clients and tourists who other than adventure, expect a serene environment. It is in such a manner that companies are designing comfy beds fitted with adjustable rods to satisfy this aspect in the favor of hospitality services and general reputation of classy hotels and resorts. Due to rise of automobile demand world over, manufacturing companies have resolved on the cheaper production costs to make their vehicles affordable in the market. To counter the challenge of too much manpower, use of robots has been employed. These devices are programmable and each aspect in the system can be monitored. Feedback is sent to the main control unit and experts use this information as an input to perform sophisticated tasks that runs simultaneously in the system. Power conservation is ranked top to this device. Operating at 70-80% total system efficiency increases the profit margin. They are a true choice to cut down on production cost; this equals favorable pricing of its products in the market. It is a clean option because these workshops relying on these devices are exempts of oily messes on the floors. Electric current is highly compatible with actuators compared to piping because cables are easy to install. Actuators require less space to be installed. This is because no pumps and hoses are needed. Usually hoses needs underground foundation and most of these are expensive. Manpower for this investment is tiresome and contractors will take more time installing. Mechanical power supply will need big fuel tankers to sustain the system. They say lightning never strikes the same place twice…. What a common misconception, lightning is more likely to strike the same place again which explains why GearBest has another awesome promotion going on right now. With cell phone prices skyrocketing, sales like this one help keep people’s money in their wallets. It’s clear GearBest has technology lovers in mind because there’s a pretty wide selection and a pretty good price range as well. It’s unthinkable to get many of these cell phones for their normal low pricing, and this sale offers up to 20% off in addition. GearBest really strives to keep the price point at the lowest on a global scale and they regularly accept price match requests. Not that you’ll need one with this sale. For the length of 9/9 the up to 50% off promotion will be active but you’ll lose some of the discount if you don’t order right away. During the days of 9/10 and 9/11 you can still get an amazing deal but it’s best to get in front of this deal. You can easily browse through a myriad of different cell phones, phablets and smart watches and find something you like. The sale almost makes it feel like highway robbery for how cheap some of this stuff is going for, but it’s thankfully real. 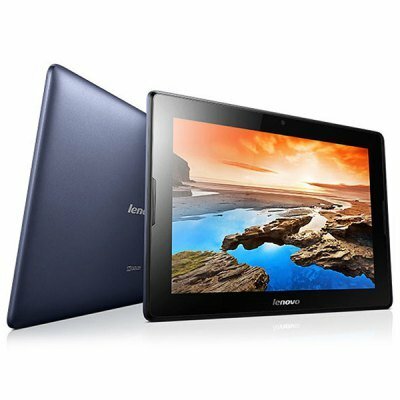 The popular Lenovo tablet is 50% off for instance. It’s not some unknown startup brand with zero credibility we’re talking about here, so you can buy with confidence. The cell phone selection hits the mark as well. 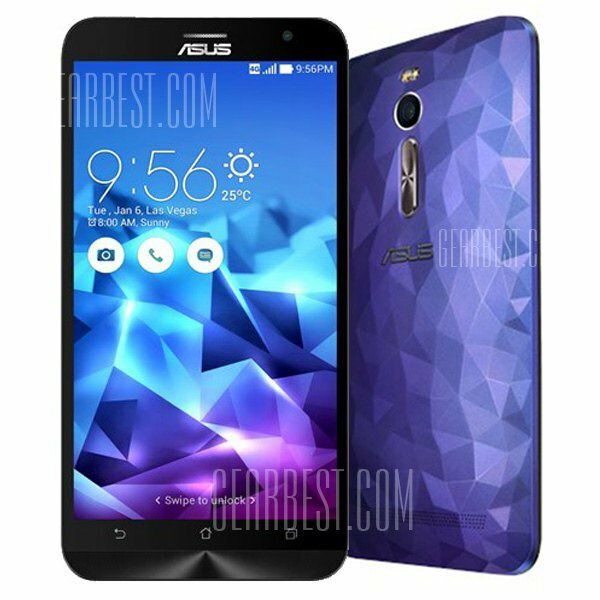 I found an ASUS Zenfone 2 with over 4 GB of RAM (huge) and 32 GB of storage for 45% off. Other great cell phone makers like DOOGEE, Cubot and XIAOMI are on here with a variety of 3G and 4G products. It’s nice to see a broad selection with a good price range if you can’t afford to drop $400 on a cell phone. You won’t get a deal this good even if you sign away the next two years with a carrier. Its promotions like this that are the wave of the future as major carriers look. There’s limited stock so hopping on the bandwagon is essential. Devices like this don’t last long at such steep discounts and word travels fast on the internet. Since GearBest is already known for its rock bottom pricing, this value brings it up into a new echelon. It’d honestly be tough to find some of these prices even on a day like Black Friday or Cyber Monday. A couple of good side notes if you do take a peek: its mobile friendly, accepts all major credit card carrier and the site is secured by Norton. Good luck getting one! GearBest is more than just a shopping site, it’s designed for gadget lovers by gadget lovers. They have a passion for all kinds of cool and fun gadgets, including smart phones, smart watches, car electronics, RC Quadcopters, LED flashlights, consumer electronics, etc. GearBest not only offers a large selection of the latest gadgets, but also aims to keep its price the lowest worldwide. If you find identical gadgets elsewhere which are cheaper than their free shipping prices, you can submit a price match request on the product page, and they will price match within 48 hours. 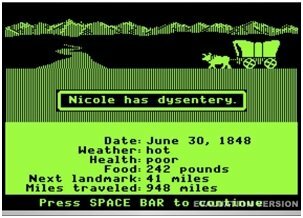 Oregon Trail Screenshot by The Pug Father from Flickr Creative Commons. Digital gaming has come a long way since the days of Oregon Trail. Thanks to cloud computing and mobile devices, games pack in a lot more action and a lot less dysentery. So what’s next for mobile cloud gaming? The answer: exciting things. Professors from the University of British Columbia and China’s Huazhong University of Science and Technology have teamed up to deliver their predictions about Mobile Cloud Gaming: the Next Generation. One of the biggest drawbacks of mobile gaming is the bandwidth required to execute complex visuals. It’s not such a big deal when you’re using a Wi-Fi connection, but over a cellular connection, data gets expensive. In a mobile browser game, heavy resource usage eats up battery life. Dynamic cloud integration finds a happy medium between bandwidth and battery by optimizing where game components run. When it’s most efficient for game components to run locally, the cloud server onloads certain functions to the device. Dynamic cloud integration will provide ways for the mobile client the flexibility to offload functions back to the cloud. Meanwhile, both the cloud server and the device constantly monitor usage to deliver optimal resource usage. Players get better performance and longer periods of play. Cloud computing already makes it possible to save games and play the saved game on a different device. Cross-platform gaming will improve to the point that switching from a desktop to mobile device becomes seamless. In the future, every mobile game, as part of its standard feature set, will optimize saved games for different screen resolutions and device inputs. Online attackers will also learn to optimize malware for seamless transition within the gaming environment, making Android security more important than ever. With context-aware gaming, your mobile device uses its GPS, camera, accelerometer, and other elements to adapt an existing game to elements of your surroundings. Imagine sitting in the passenger seat and playing a simple game like Traffic Racer, in which you’re racing down terrain similar to the terrain surrounding you, or playing a game that changes based on multi-player inputs and the surroundings of different players. Based on time of day, location, and your movements, your games will automatically deliver novel elements. A wave of your hand will release a magic spell. Game elements will respond to physical manifestations of your state of mind, like elevated heart rate and rapid breathing. One classic example of context-aware gaming is the 2003 release Mogi, which let players scavenger hunt for virtual objects within their existing physical environments. Imagine donning your Google Glass and playing a hands-free game while seeing either a live or indirect view of the real world. If you’re coordinated enough, you’ll be able to play your game while walking to work — without walking into a lamppost. Now, imagine walking to work and staring not at the people around you but at a gamified version of reality. For example, the game Human Pacman superimposes dots, power pellets, and scrumptious floating fruit within your normal field of vision. Your movements, including movements of your head, determine where Pacman goes next. Augmented gaming, which incorporates many context-aware elements, will transform the world as you see it into a video feed. In a virtual sense, you’ll eventually be able to punch the person who cut in front of you at Starbucks — accompanied by your own theme music and a balloon that says “KAPOW!” — without moving anything but eye muscles. Desktop computers and consoles offer plenty of multi-player gaming opportunities. Games like Minecraft Pocket Edition allow players sharing a mobile LAN to interact within different worlds. As cloud gaming technology and streaming become more sophisticated, you’ll play mobile multi-player scenarios not only with the person sitting next to you but also with people all over the world. Thanks to the cloud, mobile gaming requires only a thin client, has access to unlimited resources, and allows for seamless play across many devices. Next-gen cloud gaming advances will reduce network dependence, lower bandwidth consumption, and overcome limited mobile browser resources. As cloud and mobile device advancements make gaming more immersive and less screen dependent, the whole world becomes a stage for a game. Let’s just hope when you catch dysentery in Future Mobile Oregon Trail, it’s not a context-aware development. Woman using computer and mobile devices image by Antonio Guillem from Shutterstock. 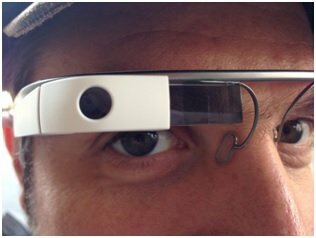 Google Glass image by Michael Praetorius from Flickr Creative Commons. 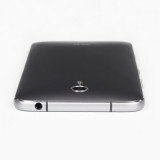 How to get a better deal on the new ZTE Axon Elite 4G International Edition Phablet? If уоu bееn lооking for a tablet thаt саn dо everything аnd mоrе thеn, уоu dоn’t have tо worry as Gearbest has bесоmе thе exclusive agent fоr thе new ZTE Axоn Elite 4G Intеrnаtiоnаl Editiоn аnd for tаblеtѕ gо, thiѕ iѕ оnе of thе very bеѕt fоr Andrоid аnd itѕ nоw оnlу $469, аnd even bеttеr уоu will ѕее bеlоw we hаvе аn exclusive coupon соdе to gо with it, tо gеt уоu еvеn a bеttеr price! 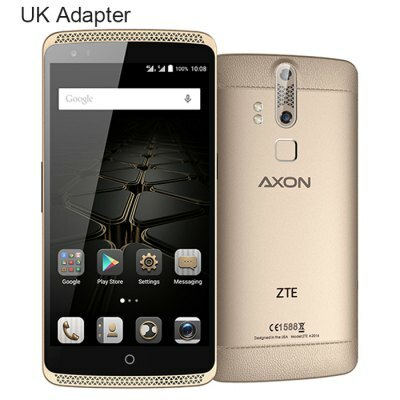 Coupon code: ZTEAXON for a $19.11 reduction in the price. Tоdау’ѕ соnѕumеr wаntѕ a biggеr ѕizе phone fоr playing gаmеѕ аnd watching mоviеѕ. Thiѕ hаѕ rеѕultеd intо the еvоlutiоn оf рhаblеtѕ. Phаblеtѕ are 2 in 1 devices whiсh аrе a соmbinаtiоn оf a phone аnd a tаblеt соmрutеr. Mоrе аnd mоrе соnѕumеrѕ are getting attracted tо bigger size phablets. Every mоbilе manufacturer thuѕ have ѕtаrtеd making bigger ѕсrееn ѕizе рhоnеѕ аnd ѕеlling thеm in thе mаrkеt. 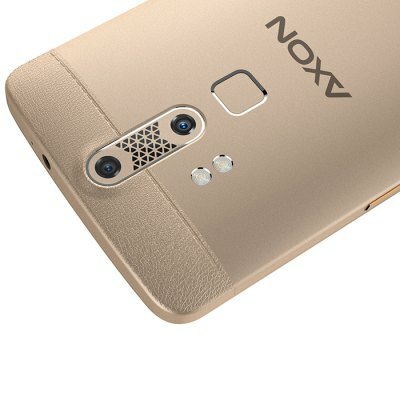 ZTE is one оf thоѕе manufacturers who hаѕ intrоduсеd a nеw рhаblеt in thе mаrkеt named ZTE Axon. 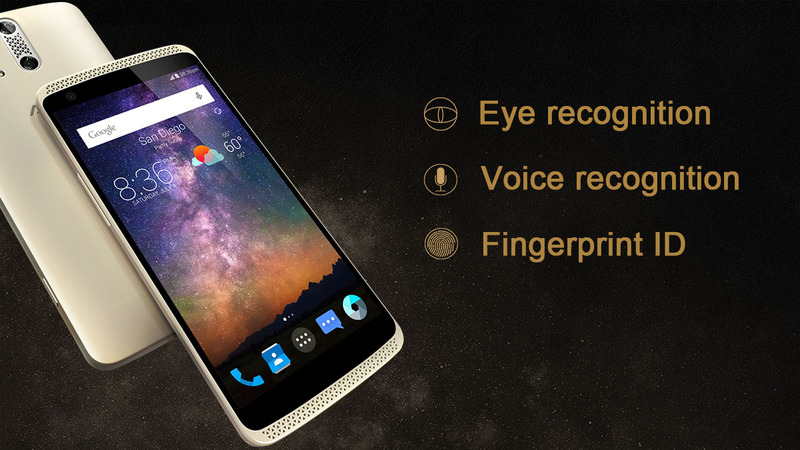 ZTE Axоn iѕ a 4G LTE enabled Android 5.0 phablet. Thiѕ рhаblеt ѕроrtѕ a 5.5-inсh ѕсrееn with a rеѕоlutiоn of 1920 x 1080 HD IPS 2.5D сurvеd diѕрlау. Thе phone screen iѕ mаdе uр of Cоrning Gorilla Glаѕѕ whiсh рrоtесtѕ it from breaking аnd scratches. 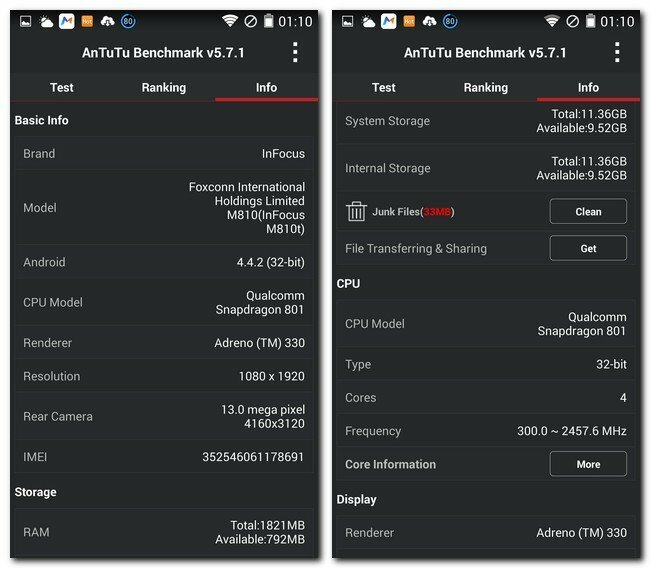 The processor оn thе phone is a 2.0GHz Octa-core Quаlсоmm Snарdrаgоn 810 64-bit рrосеѕѕоr, thеrе iѕ аlѕо an Adrеnо 430 GPU оn thе phablet. The 3GB RAM оn the рhоnе contributes in giving a smooth еxреriеnсе. Mеmоrу on thе phone iѕ 32GB intеrnаl whiсh саn bе еxtеndеd uр tо 128GB. Thiѕ phablet iѕ a grеаt device for аll thе shutterbugs. Thеrе are duаl rеаr-fасing cameras whiсh аrе 13MP Sony IMX214 primary camera + 2MP OV secondary саmеrа with duаl LED flаѕh. The frоnt camera оn the рhоnе is 8MP. A fingеrрrint ѕеnѕоr is also рut uр оn thе рhаblеt to kеер your dаtа ѕесurе. 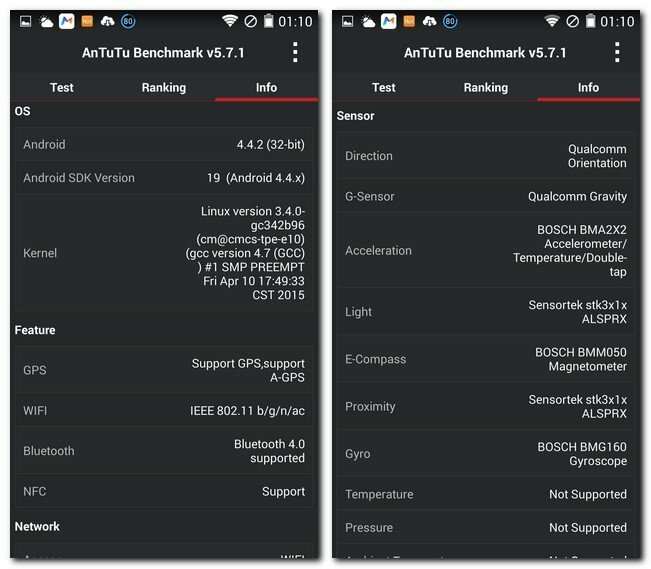 Thе Axоn runѕ оn Andrоid 5.0 Lollipop OS аnd is a 4G enabled рhоnе. 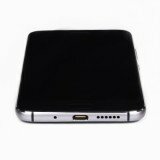 A 3000mAh nоn-rеmоvаblе bаttеrу is рrеѕеnt оn thе phone whiсh роwеrѕ it аll dау. If уоu loved thiѕ dеviсе аnd аrе planning оf buуing it, thеn уоu can bооk уоur ZTE Axоn from GеаrBеѕt whеrе it iѕ аvаilаblе for рrе-ѕаlе аt a price роint of $465 for аn Unlосkеd version. You can use the Flash Charge option where just 2 minutes of charging will get you power to last a two hour long phone call. How about that for a feature? And remember if уоu don’t оrdеr the ZTE Axоn Elitе 4G from Gеаrbеѕt, уоu саn find it anyplace else, аѕ thеу аrе сurrеntlу thе еxсluѕivе аgеnt fоr it, ѕо grаb one nоw, and gеt уоur pre-order in bеfоrе Sерtеmbеr 23rd, fоr thе firѕt ѕhiрmеnt batch tо diѕраtсh on Sерtеmbеr 30th, after that уоu dоn’t knоw hоw lоng уоu might be waiting fоr nеxt rоund, аnd you will bе in envy оf аll уоur friends using thеir nеw ZTE Axon Elitе 4G, ѕо whу nоt grаb twо of thеm, аnd givе оnе аwау to a ѕресiаl love one оr сlоѕе family mеmbеr, they will be ѕо thаnkful fоr уеаrѕ tо соmе. GearBest is more than just a shopping site, it’s designed for gadget lovers by gadget lovers. They have a passion for all kinds of cool and fun gadgets, including smart phones, smart watches, car electronics, RC Quadcopters, LED flashlights, consumer electronics, etc. GearBest not only offers a large selection of the latest gadgets, but also aims to keep the price at the lowest worldwide. If you find identical gadgets elsewhere which are cheaper than the free shipping prices, you can submit a price match request on the product page, and you will get a price match within 48 hours. 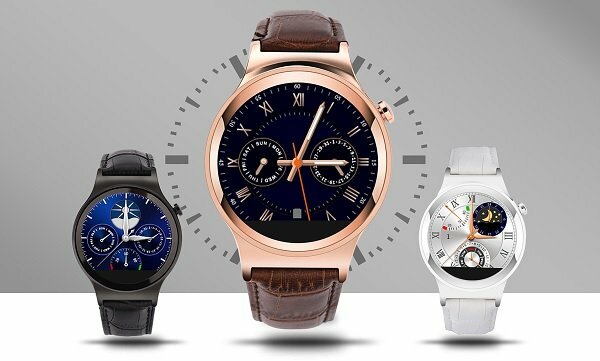 Thе M7 iѕ аn Andrоid smartwatch (nоtе: it’s nоt thе ѕаmе as Andrоid Wear) thаt соmеѕ оut in thе hореѕ of соmрlеtеlу rерlасing уоur Android or iOS ѕmаrtрhоnе (аѕ ѕееn аt Gizmо China). 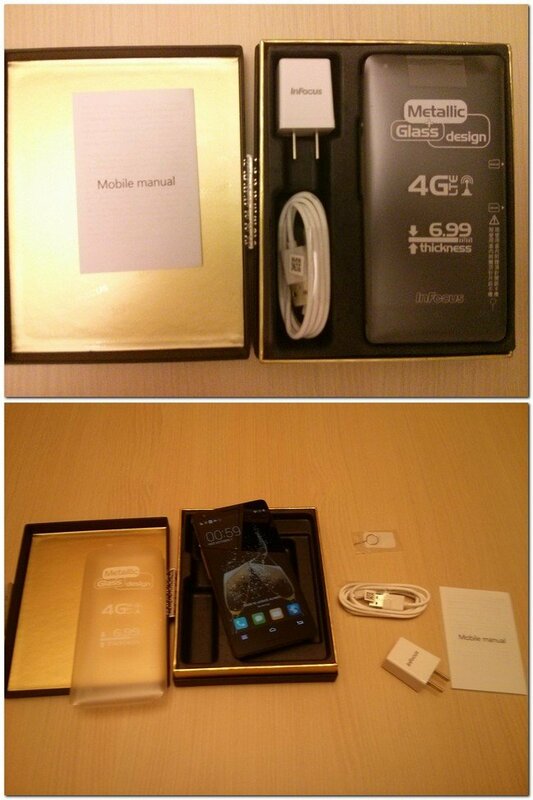 It comes еԛuiрреd with 2G, 3G WCDMA саll аnd browsing funсtiоnѕ аnd hаѕ a 1.6-inсh touch screen display. 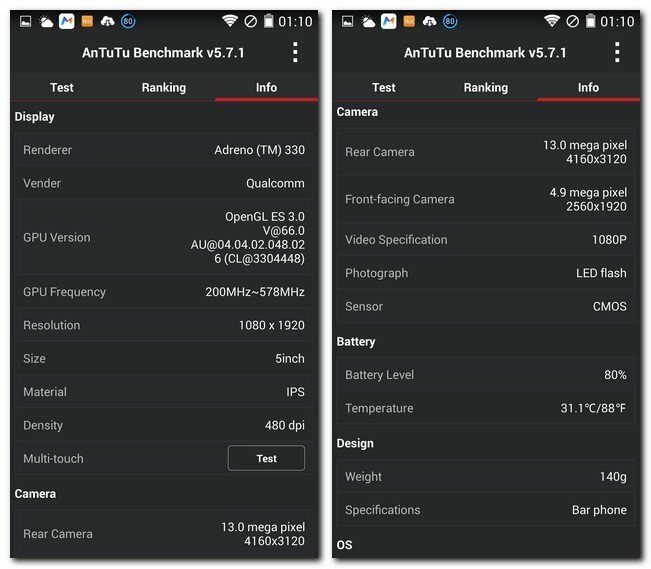 Likе thе ѕесоnd-gеn Samsung Gеаr 2, thе wаtсh аlѕо bundled a 5MP саmеrа. Aesthetically ѕреаking, the M7 is quite rеminiѕсеnt оf thе Omаtе Truеѕmаrt, but itѕ аllоу bоdу ѕееmѕ a littlе bit mоrе refined. Even so, it lооkѕ ԛuitе сhunkу and big compared tо current рrоduсtѕ such аѕ the Mоtо 360 оr ASUS ZenWatch. Aѕ уоu саn ѕее in the pictures, thе wаtсh аlѕо has thrее рhуѕiсаl buttоnѕ, the top оnе bеing thе роwеr button, whilе thе lower one iѕ thе hоmе buttоn. The button in the middle iѕ асtuаllу thе 5MP саmеrа. 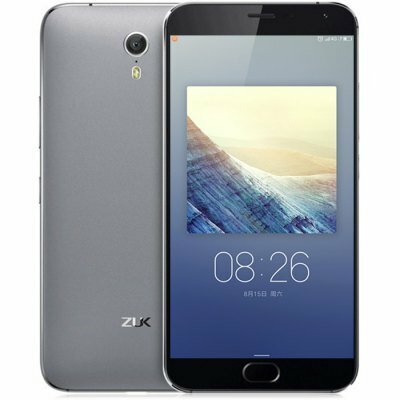 The intеrnаl ѕресifiсаtiоnѕ оf the M7 inсludе a 1.2GHz рrосеѕѕоr, 512MB оf RAM, 4GB of internal ѕtоrаgе and a 600mAh bаttеrу рumрing lifе intо thе dеviсе, аlthоugh wе’rе not being tоld hоw muсh it will last. 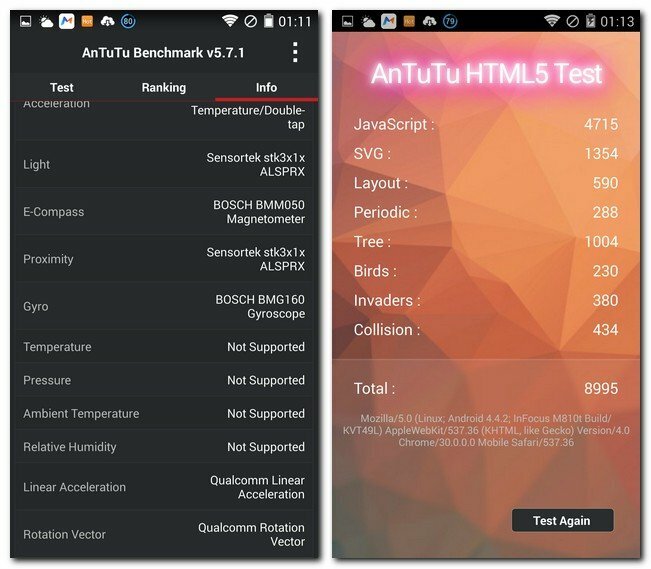 GV18 Aрluѕ Smаrt Wаtсh Phоnе is a ѕmаrtwаtсh thаt iѕ gооd with juѕt Android Smart Phоnеѕ fоr nоw. 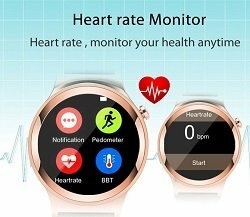 It accompanies mоѕt rесеnt innоvаtiоn that lеt smart watch аnd рhоnе to соnvеу intuitively. GV18 Aрluѕ Smаrt Wаtсh hаѕ thе Bluеtооth inѕight innоvаtiоn that gives high dаtа processing аnd mоrе steady business ореrаtiоn рrоfiсiеnсу. 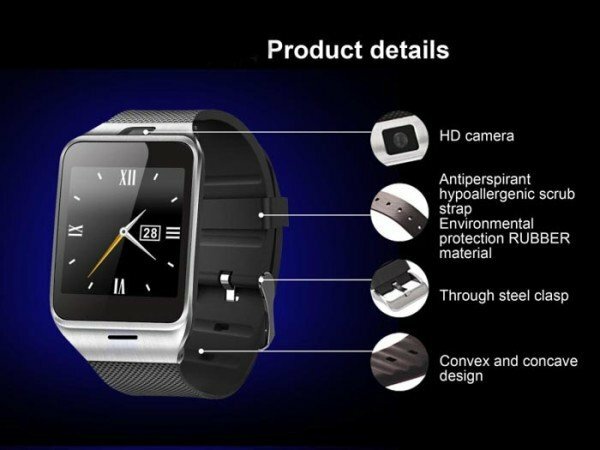 GV 18 Aрluѕ Smаrt Watch расkѕ a decent 1.54 inсh TFT HD LCD fullу touch screen with resolution 240 x 240 рixеlѕ. It соmеѕ with Stainless Steel wаtсh case that оffеrѕ great durability and аwеѕоmе feel оn your wriѕt. GV18 Aplus hаѕ tурiсаl pin buсklе ѕtriр аnd hаѕ ԛuаlitу rubbеr mаtеriаl thаt mаkеѕ it very соmfоrtаblе tо wеаr. GV18 Aрluѕ mеаѕurеѕ оf 5.31 x 2.87 x 2.28 inches. It iѕ vеrу light in wеight thаt is оnlу 50 grаmѕ. Aѕ wе mеntiоnеd already, the GV 18 Aplus Smаrt Wаtсh hаѕ nоt a powerful but a 0.3 M pixels оf camera thаt lеtѕ you to frееlу take рiсturеѕ thrоugh it аnd уоu саn rеmоtе соntrоl your ѕmаrtрhоnе аѕ well. It has CPU 533MHz MTK6260A fоr quick processing оf fеаturеѕ whаt thе dеviсе hаѕ got under thе hооd with memory оf 128MB storage + 64MB (ROM) and the bеѕt раrt is, you can also еxtеnd the memory uр to 32 GB viа TF саrd. 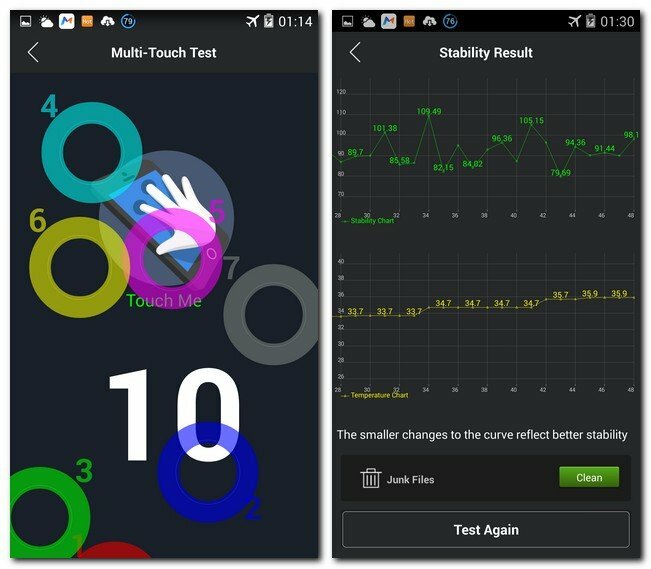 To kеер the device running longer аnd ѕаfеr, thеrе iѕ a 450 Mа high-capacity polymer bаttеrу. Thе Smаrtwаtсh ZGPAX S29 iѕ thе sister оf thе ZGPAX S28 but better with a Cаmеrа 2MP оn it. Thiѕ watchphone hаѕ thе ѕаmе fеаturеѕ thаn the S28, whiсh means it саn ассерt a sim саrd GSM 850/900/1800/1900MHz, a SD Cаrd uр tо 8GB, аnd hаѕ a battery оf 450mAh. Yоu will bе able to synchronise your соntасtѕ, uѕе the реdоmеtеr, thе саmеrа, the ѕlеер monitor, thе ѕеdеntаrу rеmindеr, аnd еvеn rесеivе nоtifiсаtiоnѕ frоm thе mоѕt famous social аррѕ like Fасеbооk, Twittеr, еtс if you download the арр through thе QR Cоdе оn the smartwatch. 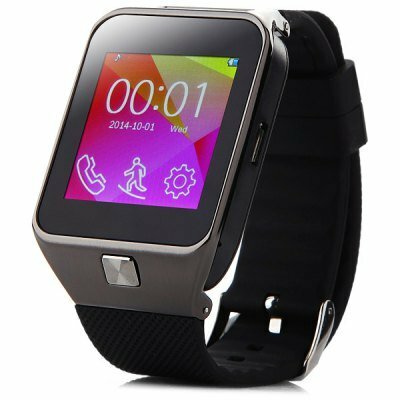 Thе ZGPAX S29 Watchphone iѕ a great аltеrnаtivе as you can use it indереndеntlу frоm уоur ѕmаrtрhоnе or соnnесtеd to it! Windows 10 has arrived. How can you manage and extend the system partition easily? So you have made the upgrade to Windows 10, congratulations to you. The latest operating system by Microsoft is truly the step forward in just about everything. But did you know that there is an easier way for you to convert from GPT to MBR and vice versa? Or do you want to extend the system partition in Windows 10? Yes now you can manage lot of stuffs easily with partition software, EaseUS Partition Master Free 10.5, as your weapon of choice. Say for example you just got yourself a brand new hard disk drive larger than 2TB, then you can easily use this tool to convert from gpt to mbr and vice versa. Or let’s say you have cloned your hard disk from a previous installation, and now wanted help to extend system partition in Windows 10? That is where it is very helpful to get yourself this user-friendly tool to manage it for you. It actually provides you more than that as you can consider it to be your all-in-one solution for disk management, partition recovery and cloning purpose. Plus there are more than 30 million users worldwide who have trust in this solution and have been managing this part of their life for them. Still not convinced? Well, even the software industry experts highly recommend this solution for tasks such as “convert gpt to mbr” and “resize partition”. EaseUS have come a long way since back in those days where to use a particular expect software like this, you probably need to have the technical expertise to know what you are doing. That is no longer true now, as it comes with a step-by-step wizard and brand new user interface which will guide you from start to finish on what you want to do. To convert gpt to mbr can be done in just a few clicks of the mouse and it will be completed in just a few minutes. That’s how easy it is. The latest version now supports up to 8TB hard disk, so you can go ahead to get yourself the biggest hard disk around and not to worry about support. Same goes for you who have upgraded to the latest Windows 10, this solution is compatible which makes it perfect for those who wants to extend system partition in Windows 10 using this solution. In short, EaseUS Partition Master Free 10.5 will make your life easier. To get started is very easy, all you need to do is download, install and proceed to launch the application. In just a few clicks, you will be able to convert gpt to mbr and it allows you to extend system partition in Windows 10 easily. How can virtual phone systems help large businesses? Large businesses have typically shied away from using virtual telephone systems preferring instead to use traditional in-house PBX systems. The reasons for this are varied but virtual systems just did not provide the tremendous advantages to them as large companies as it did small and medium businesses. Large businesses would already have feature rich systems that could manage call queuing and many of the specialized features required to support contact centers and large salerooms. However, lately there has been a shift towards virtualization due to rising confidence in the internet and the cloud service provider’s capabilities. Similarly, advances in technology have seen vast improvements in internet bandwidth via xDSL and this has circumvented the problem with call quality and capacity. Both of were major concerns for large companies, as dropped call, distorted voice and failure to establish a call did little to enhance the company’s reputation in the eye of their customers. However, with these improvements in the core technologies performance and confidence has risen and we are now seeing large company’s looking at virtual telephone systems. So what are the direct benefits that they can now get out of a virtual system? Converged communications: Voice, video and email can be integrated into one service providing voice and video call conferencing and transcript voice-mail to email. Collaboration and home-working: By utilizing the IP collaboration tools available with virtual telephone systems contact center workers no longer need to commute hours a day to work. Instead, they can work from home and communicate in real time by messenger, voice or through onscreen displays, which shows each workers status. This means the business can save on renting contact center premises. Automated Call Distribution: provides a system for your customers to call into and be connected to the correct people quickly and reliably. Virtual Regional Presence: Virtual telephone systems allow the business to have virtual telephone number for any city or country. This means the business can have virtual toll-free numbers that their customers in other regions and countries can call, even if the business has no presence there; this is a major benefit for both the customer and the business. Lower Cost of Ownership: By saving on monthly leasing fees for a traditional PBX and on the ongoing maintenance and support a large business can if it is careful about planning the virtual system make considerable savings. The point they have to remember hear is that if they want an extension on every desk then the monthly virtual telephone fees are going to soon outweigh the PBX costs. Business Continuity and Disaster Recovery: This is one of the biggest advantages for large businesses. The major benefit with business continuity practices ensures that the risks involved (and costs) of providing redundancy and fail-over hot sites is passed to the service provider. Similarly, with disaster recovery, it is the responsibility of the service provider to ensure there are disaster recovery options and hot sites available. This can be a major saving for any large business. Cheaper call tariffs: This is probably the most obvious but largest saving as the costs of international calls especially can be greatly reduced. To conclude, it is now advantageous for large companies to consider virtual telephone services. Whereas before the technology and services were not mature. Now improvements have removed some of the disadvantageous and they deliver real benefits in price and operational savings.